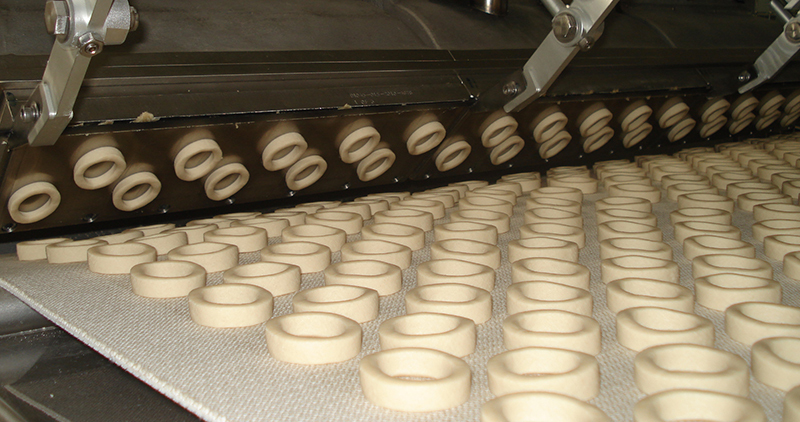 Flexible, efficient, high volume production of extruded pretzels and snacks. 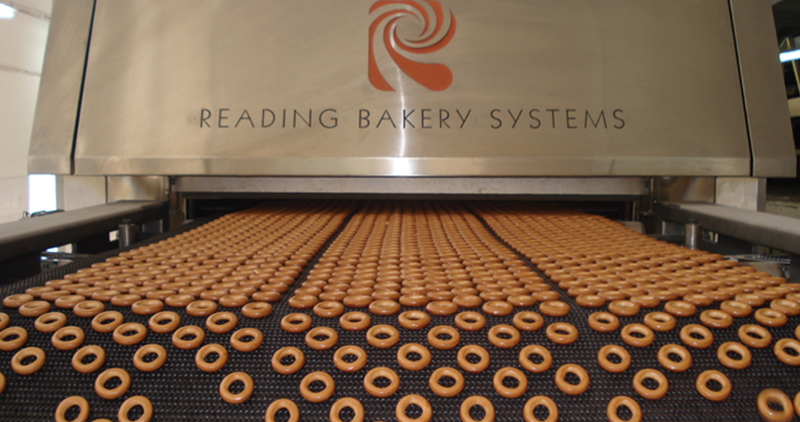 Reading Bakery Systems is the leading industry supplier of efficient, high volume pretzel and snack systems. 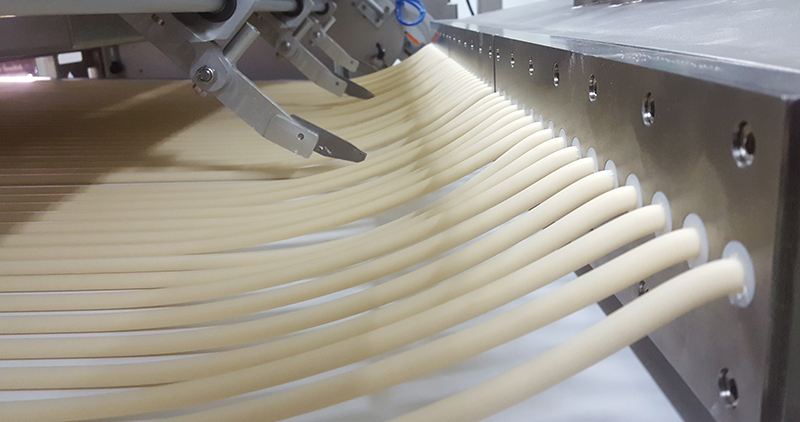 This flexible system allows you to create a variety of pretzel shapes, sticks, braids, sushki, filled sticks and bread snacks on one production line. Product changeover is as simple as exchanging one compression head and die for another one with a different shape. 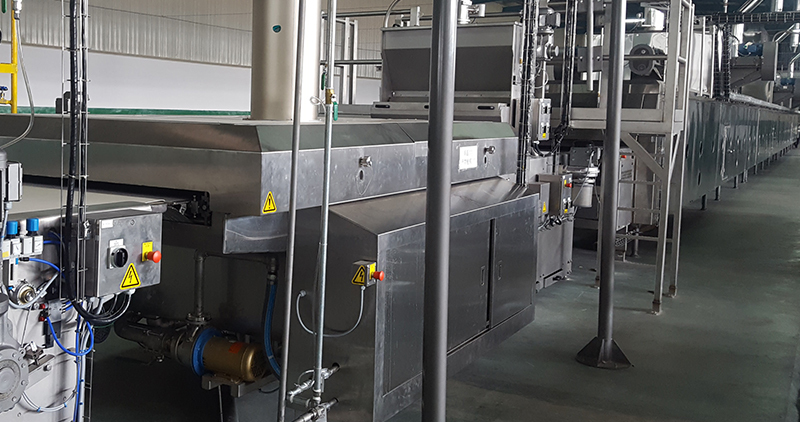 Our production systems can be fed using a batch mixer or a continuous mixer depending on your level of automation. View our Extruded Die Catalog to see examples of our most popular, and most innovative designs. Interested in Lower Production Volumes? For customers interested in producing pretzel shapes and sticks at lower production volumes, we also offer our Vector Series Pretzel System. This system is capable of producing from 125-500 kg/hr of finished product. Click the links below to learn more about available equipment for this system. We understand the increasing demands you face to ensure safety, sanitation and compliance. Our SafeShield Program combines cutting-edge design and manufacturing practices with a firm commitment to safety and sanitation. 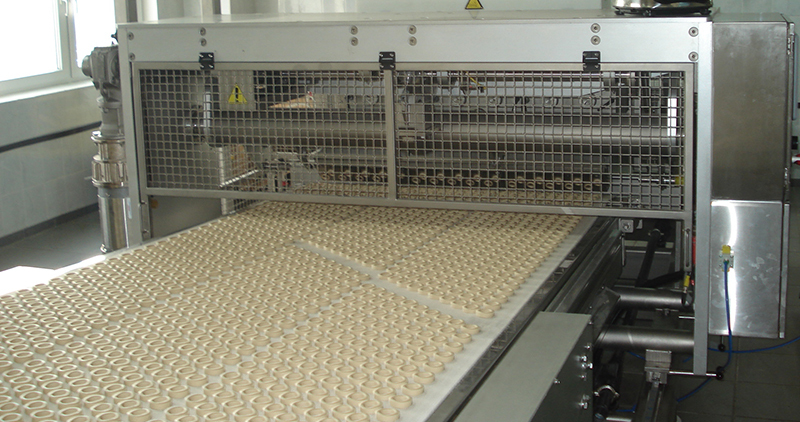 Reading Bakery Systems provides the latest, custom designed control systems for your equipment. All control systems are designed and built in house. We stay up to date on the latest technologies, safety standards and control specifications to keep your production running safely and efficiently.